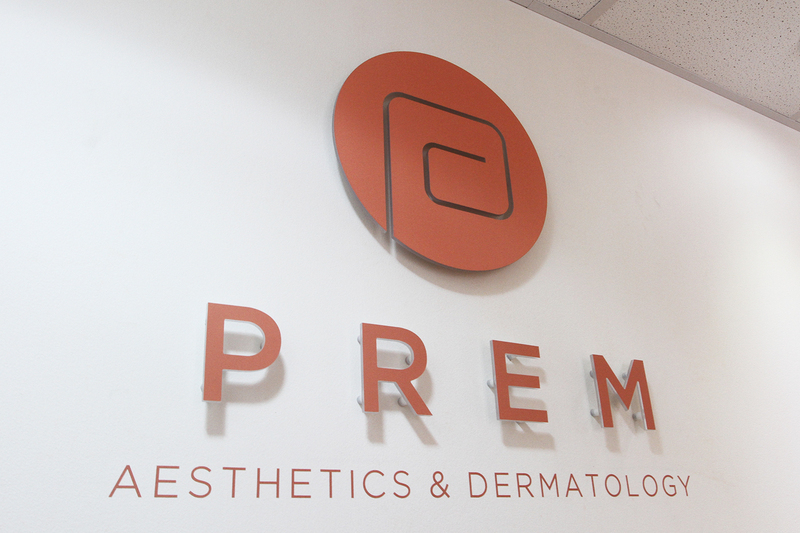 I am Dr Prem Kumar a GP working within the NHS and the proud owner/practitioner of Prem Aesthetics clinic. Over the years I have developed a keen interest in aesthetics and dermatology and have been particularly focused on the positive effects that improved skin, facial and body aesthetics can have on a clients confidence and self esteem. Following a period of study IN CLINICAL DERMATOLOGY at St Marys University in London, I took the bold decision to establish my own aesthetics and dermatology clinic in 2004 with the sole purpose of performing carefully considered minor procedures that would be of long term benefit to my clients. It has been my quest to keep pace with the often radical advances within the aesthetics and dermatology field, only employing procedures that are proven to be safe, efficient and effective. 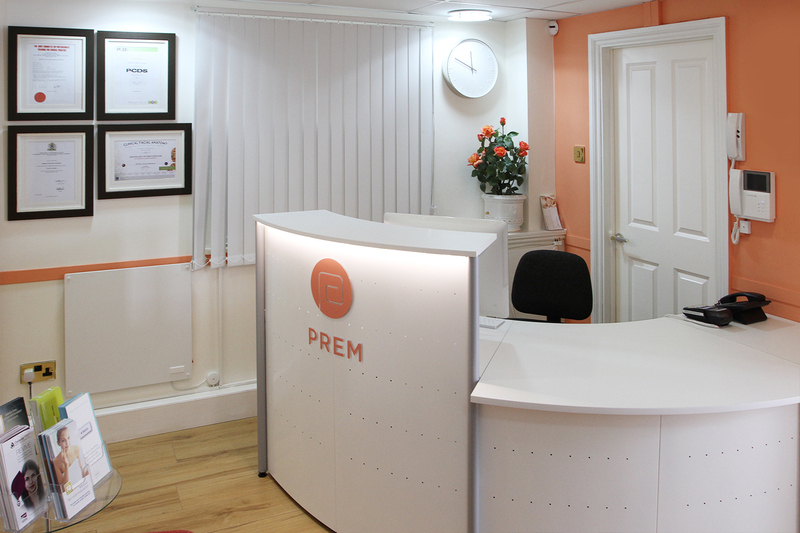 At Prem Aesthetics clinic we pride ourselves on our warm and friendly approach to our clients. In our continuous endeavour to give the very best service to you, we thought we would change the entire style of our website, so we have set about a rebuild At least that was the original intention. In fact, that small task resulted in a raft of changes to the clinic too. As discussions for the website developed it was considered that it was time to embrace a new era, so we have completely refreshed our identity. You may already have noticed the name change from Stort Laser Clinic to Prem Aesthetics, the intention being to form a closer, more personal relationship between myself, the practice and most importantly, you, my client. We have also revised our colour scheme which has moved away from the corporate and clinical blue often associated with clinical products, and moved toward a much warmer and soothing colour scheme more in tune with the care and attention we offer our clients. A contemporary logo brings Prem Aesthetics bang up to date with a carefully crafted icon which is both easy on the eye and immediately identifiable. The website is now much easier to access across all platforms and devices to ensure easy navigation to the information that you require. It is supported by carefully considered images that help to reinforce that we are open to all age groups regardless of age, gender or ethnic origin. And it does not stop there. On your next visit to our discreetly located clinic you will find that we have new external signage making it much easier for you to find us on your first visit. Once inside you will find a completely revised reception refreshed with our new, more inviting corporate colour scheme and more comfortable individual seating. 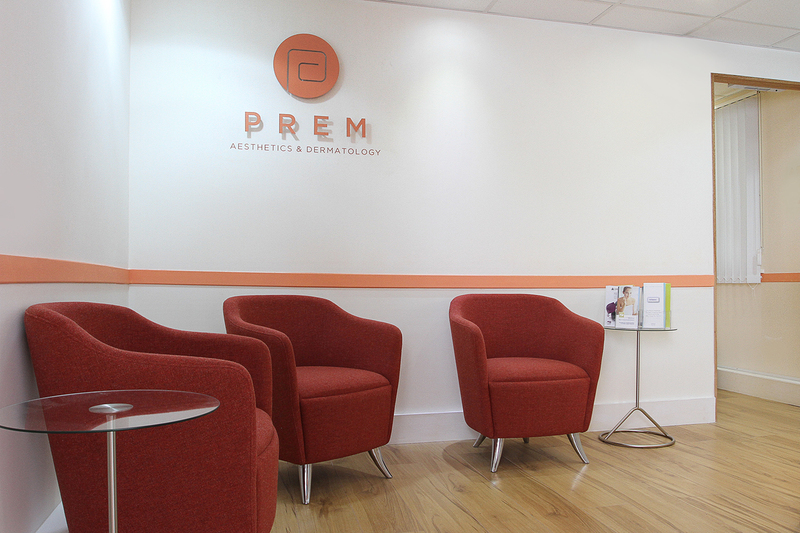 All this is designed to make you, our valued customer, feel more relaxed and confident when you visit Prem Aesthetics. We will always strive to improve our services and customer relations and as such we welcome any comments both positive and negative … although with these changes we are hopeful that we can all focus on the positive.